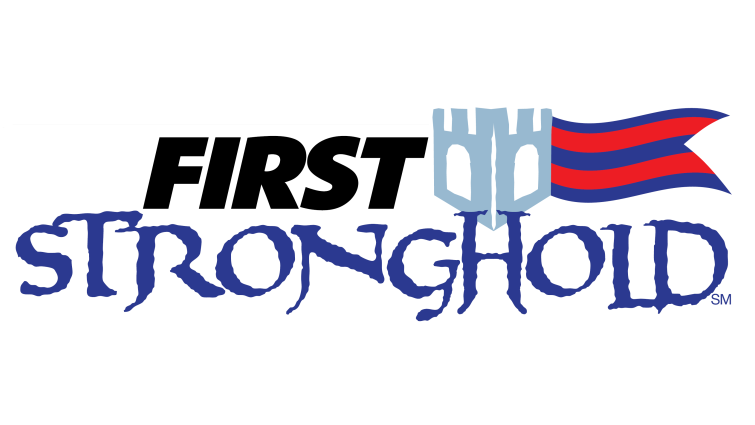 FIRST Stronghold brings competition back to a traditional format, plus more. Back again is the end game and defense for teams to contend with this year. Stronghold also introduces a new component never seen in FRC before – audience participation. Each alliance commands one tower, five defenses, and a ‘secret passage’ which allows their robots to restock on ammunition, called boulders. One defense in each alliance’s set of five, the low bar, is a permanent part of the field. Three defenses are selected strategically by the alliance prior to the start of their match. The final defense changes periodically by audience selection. Each match begins with a 15-second autonomous period in which robots operate independently of human control. During this period, robots attempt to cross opposing defenses and score in the opposing tower. During the remaining 2 minutes and 15 seconds of the match, called the tele-op period, teams on an alliance work together to cross defenses, weaken the opposing tower by scoring boulders in it, and finally surround, scale and capture the tower. Alliances are ranked by a combination of their Win-Loss-Tie record, breach success, and tower capture success. A win is determined by comparing total match points between alliances at the end of the match and earns an alliance two ranking points. Ties earn an alliance one ranking point. Capturing an opponents’ tower at the end of the match earns each team on the alliance one ranking point. Breaching an opponents’ outer works by crossing four of the five defenses twice earns an additional ranking point. Ranking points are the primary way teams are ranked during qualification rounds, so are very important. Note that while only one alliance can win a match, either, both, or none may capture a tower or breach outer works.